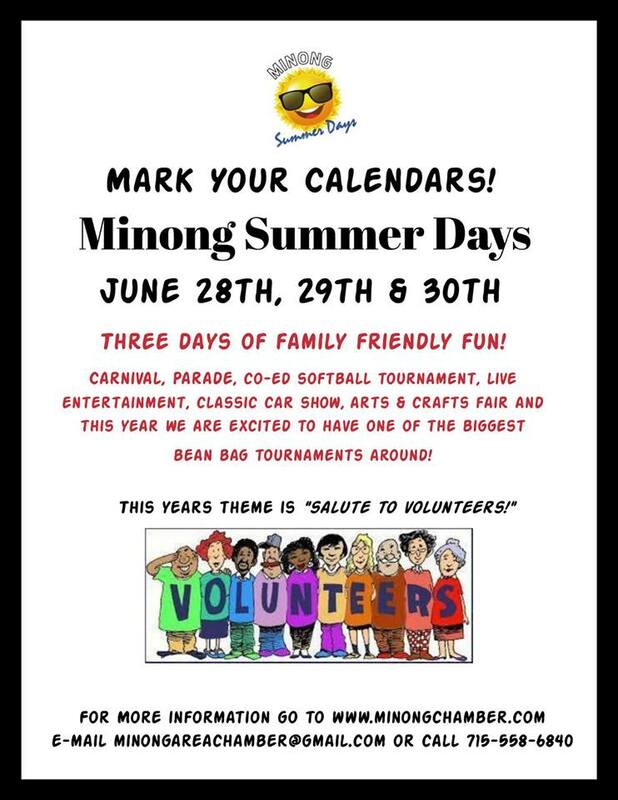 Mark your calendars for another fun-filled weekend in Minong at the annual Minong Summer Days. 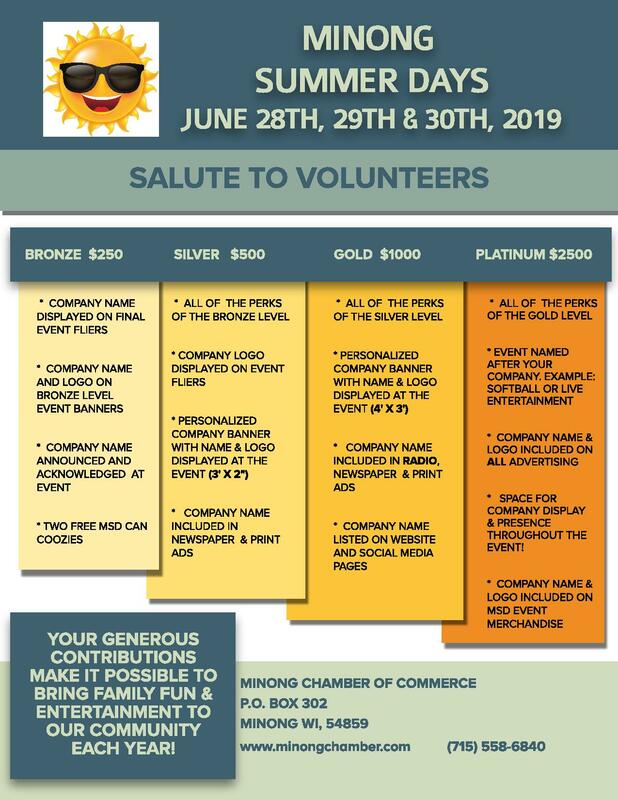 Planning is already underway for a weekend of bands, games, carnival and all kinds of other events for the entire family. & entertainment to our community each year!